The most common choice for plumbing is PVC – a time-tested material that is both cheap and easy to find at hardware stores in various sizes. It is available in Rigid and Flexible types. It used to be common to use rigid pipe for a whole system, but many more people nowadays are going with types of Flexible hose for the majority of their plumbing. 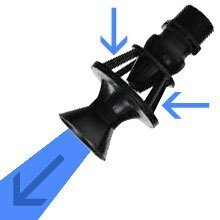 Going with PVC and glued fittings generally results in the fewest problems, and this guide outlines some of it’s benefits. Other types of tubing are sometimes used, and they are also discussed. Where to use Rigid vs. Flexible? 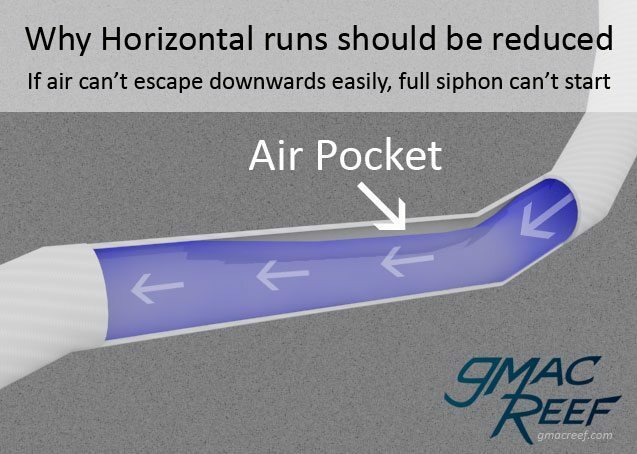 Flexible pipe can be used throughout a system. For places where a straight pipe is required, rigid pipe should be used. For example, on overflow standpipes. 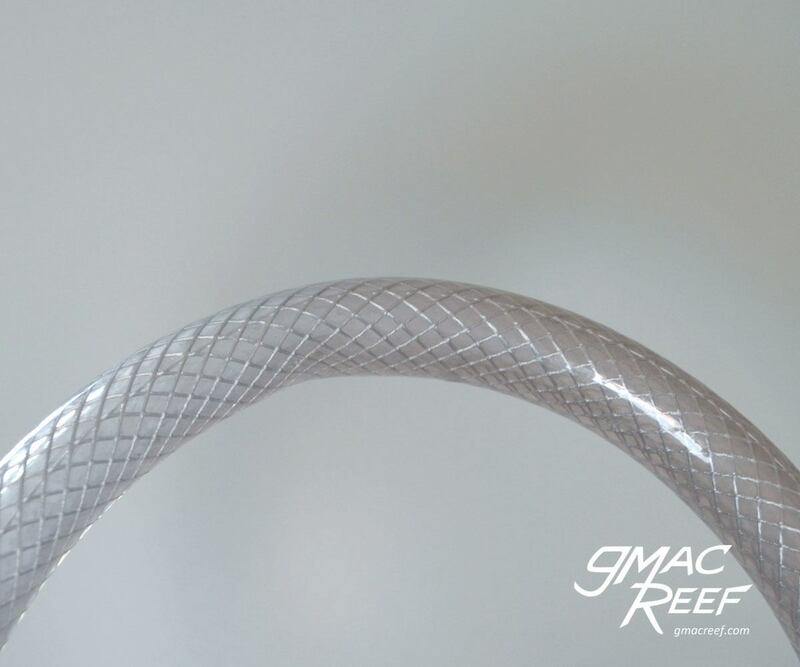 Bendable tubing allows you to gradually curve the pipe, rather than use elbow type fittings, which simplifies the setup. This results in less friction from fittings and greater efficiency. Softer types of tubing transfers less vibration between the pump and the rest of the equipment, resulting in less noise. Flex PVC has the best fluid dynamics of any other material — Less resistance from fittings and sharp turns in the plumbing creates better flow. 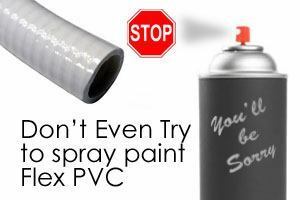 It is glued with the same solvent as regular PVC. 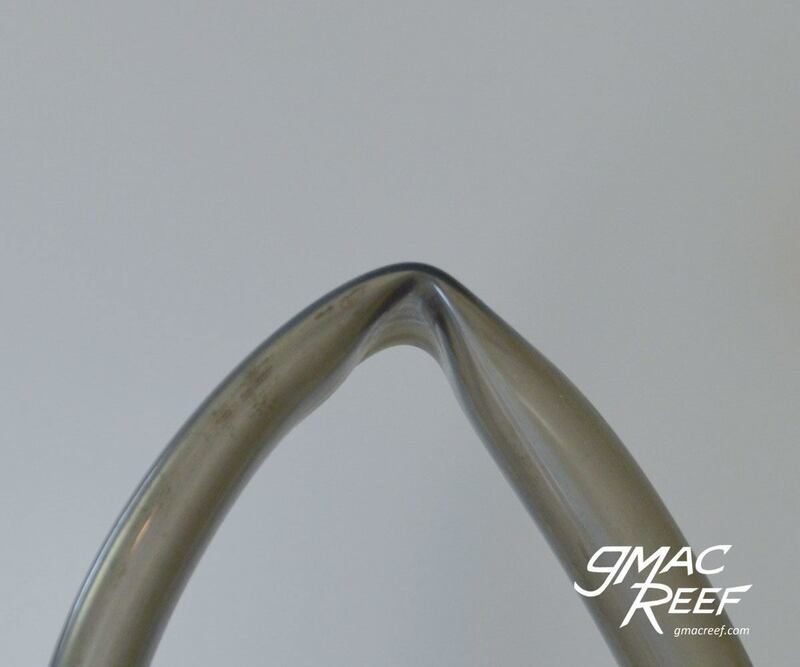 While not as easy to bend as some other types of flex tubing, it will never pinch. It’s flexibility is affected by temperature, becoming easier to work with as it warms up. Quick Tip – There are a few colors available these days. Whatever you do, don’t spray paint Flex PVC, it will become permanently sticky and you’ll have a real mess on your hands. This tubing is identified by a lattice of visible fibers woven inside the sidewalls. This gives it lateral strength and protects against pinching when the pipe is bent. 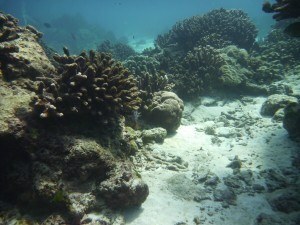 Mostly available in clear types, it can be prone to algae growth. 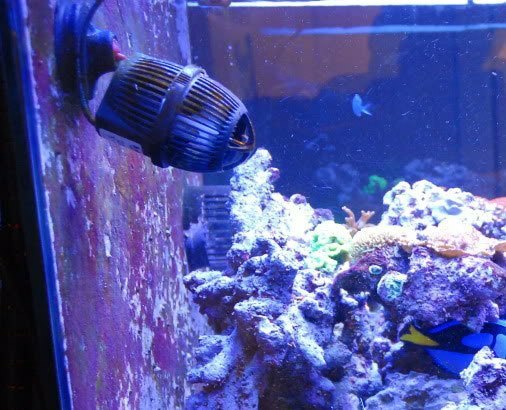 Because it can pinch and kink very easily, non-reinforced vinyl tubing should be avoided when plumbing reef tanks. Anything important such as the drain lines or return lines require more strength. Some people use it on small reactors and pumps because it is easy to work with, but there are better alternatives. While somewhat expensive and less common, tubing made from Silicone is starting to become more available. 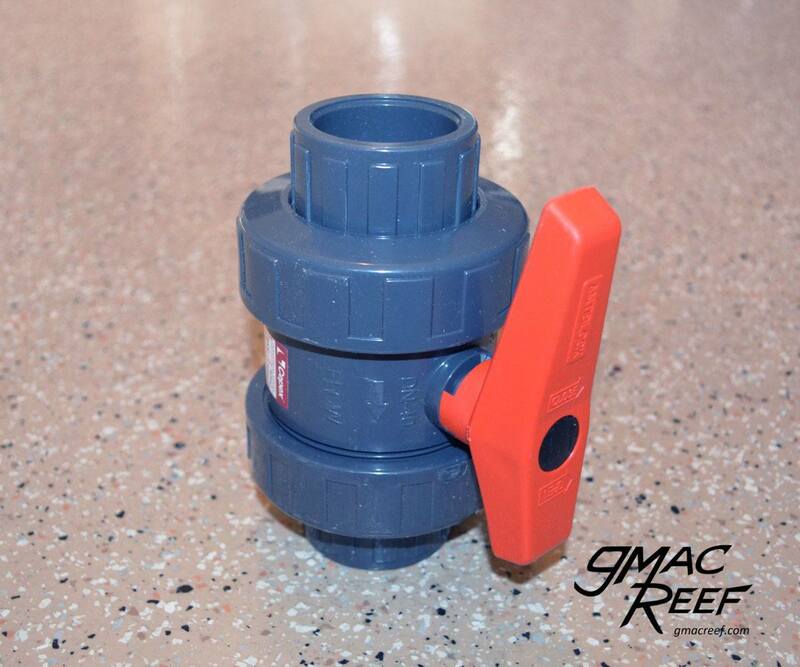 Silicone is excellent at reducing vibration from the return pump, and a short run of it can be installed from the pump into the main return line. Possibility of Failure – Tubing differs from PVC in that it is assembled differently. Rather than using glue, barbed fittings use collars that are tightened around the tubing. This can present a few hazards: Collars or “Hose clamps” made of metal can be prone to rust when near damp saltwater (such as inside a sump). Collars or clamps made from any kind of plastic will not rust, but are much weaker than the metal clamps by comparison. This alone makes it less secure than a permanent, glued line in comparison. 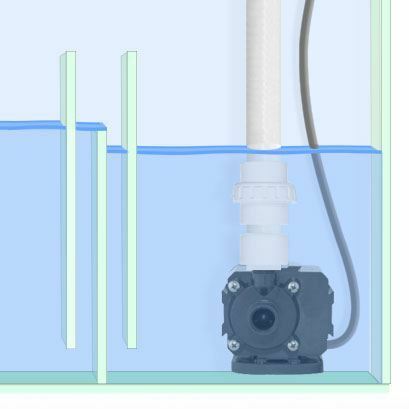 Pressure Sensitive – If you use a pump to push water through tubing, water pressure is created. If the pressure in the line gets to be too much, such as if a kink forms in the tubing, the line can “blow a fitting” – when the plumbing comes apart. As you can probably imagine this can have potentially disastrous results. Any kind of pressure fit system is more prone to this than a permanently glued line. Barbed Fittings Reduce Flow – Aside from safety, Tubing has a major shortfall compared to PVC. The fittings are inserted into the hose and clamped from the outside. This reduces the inner diameter of the pipe, significantly lowering flow capacity. In places where you want maximum flow capacity, tubing is not a good choice. For example, a drain system. What is the difference between Schedule 40 vs. 80 PVC? 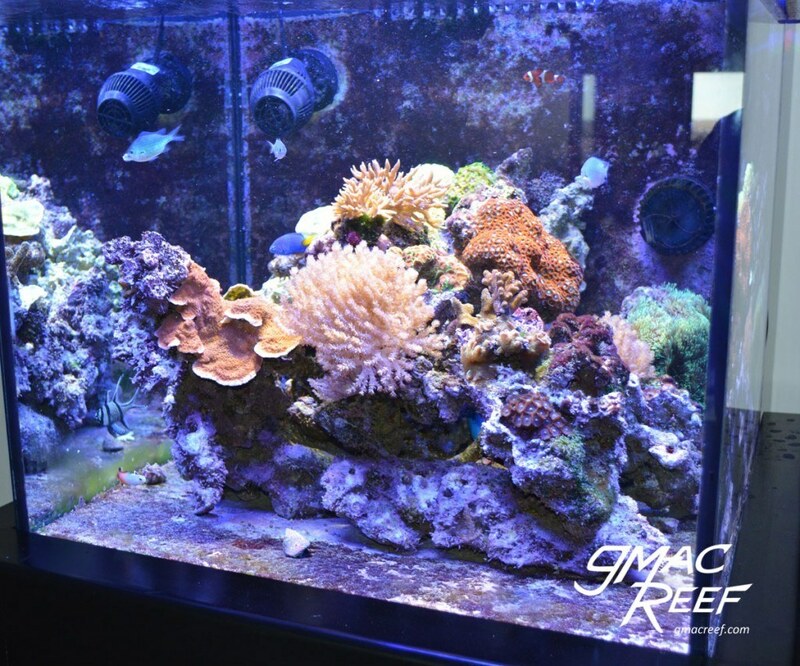 Most people use Schedule 40 pipe and fittings, generally white in color, for reef tank use. The difference with schedule 80 is that it has a higher pressure rating and is dark gray. Reef tanks have low pressure compared to a lot of other applications, so there is no advantage to using Schedule 80 on most fittings. Valves that are Sch. 80 are usually of a higher quality and might be worth the extra price. Many people using Sch. 80 fittings do so simply because they prefer the dark gray color they come in. While you can generally mix and match Sch. 40 and Sch. 80 with glued slip connections, you may find that the two have different threads that will not always match up even though they are the same size.